24 hrs Residential and Commercial Pest Control Service London, Call ☎ 07398057383, 02080880503 for advice and appointments! Pest Killer’s UK Commercial Pest Control Service London offer discreet commercial pest control services. Pest Killer’s UK know how important it is for our Customers to keep their good reputation, so we do not arrive in company named vans. Pest Killer’s UK Commercial Pest Control Service London consists of professional highly trained pest controllers who can protect your business, Our pest controllers will eradicate all sorts of pest infestation. Pest Killer’s Pest Control work with many different commercial businesses varying from Hotel’s, retail, healthcare, agriculture, supermarkets, school and many other commercial properties. Pest Killer’s UK Pest Control have highly trained experience staff with several years of experience in eradicating pest infestation. Our Pest Control provide the best pest control solutions for your business. 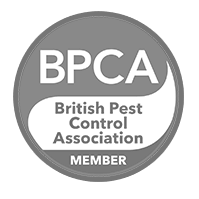 Pest Killer’s UK Pest Control are members of the National Pest Technicians Association which enable our company, to always be up to date with all the latest treatments in the pest control industry. Pest Killer’s UK Pest Control London provide commercial pest control services for Bedbugs, cockroaches, mice, rats, spiders and other insects. Pest Killer’s UK Pest Control has a 100% success rate in identifying and eradicating all commercial pest infestation. Pest Killers UK Pest control London cover’s the whole of Greater London including East London, North London, West London, Central London South London, Goodmayes, Seven Kings, Stratford, London, Romford, Ilford, West Ham, Newham, Plaistow, Hackney, Croydon, Bromley by Bow, Enfield, Watford, South Woodford, Chadwell Heath, Dagenham, Gants Hill, Barkingside, Newbury Park, Tower hamlets and other surrounding areas. 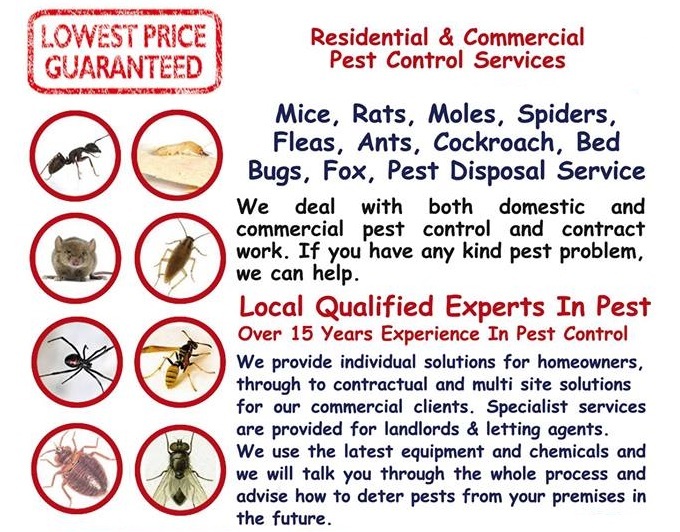 If you are unsure if we provide a Pest Control Service please call our office to find out, or send us an email. Pest Killers UK Pest Control are highly trained and professional with many years experience. Our Pest Control have 100% success rate in identifying and eradicating all sorts of pest within residential and commercial properties.